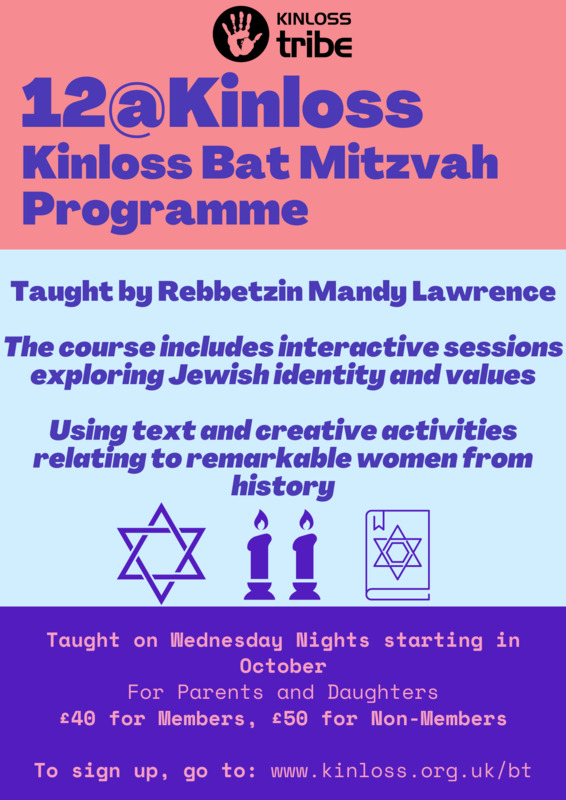 Taught by Mandy Lawrence, the Kinloss Bat Mitzvah programme provides an opportunity to share engaging Jewish experiences and help to develop and strengthen a personal sense of Jewish identity through activities and discussion on ancient and modern ideas. Stream a) Text based learning programme exploring leading female figures in Jewish history. Stream b) Informal learning programme exploring Judaism for teenage girls. We encourage a parent to join their daughter for each session. To register for the programme please click here!